Wouldn't you like to have this view from your home in the heart of Historic Olde Windermere? This western exposure offers the most spectacular views and sunsets that the entire family can enjoy! 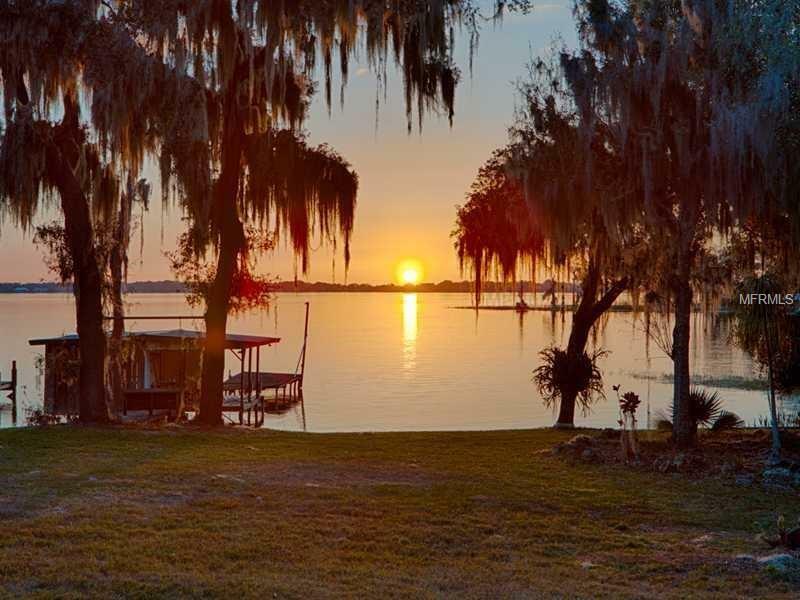 Located on The Butler Chain, Florida's Outstanding Waterways which consist of 11 interconnecting pristine lakes ideal for all water sports, fishing, skiing and swimming! This location is only a short walk to downtown Windermere, a small town with lots of charm, offering year-round activities and a weekly Farmer's Market! Parks, tennis courts and playgrounds are also a part of this charming town. Put your roots down in this very special community as you will not want to leave! Located among 2500 residents and easy access to major roadways, schools, golf courses, fine dining and shopping, along with Disney and other area attractions! Don't let this pass you by because this is only one of approximately three remaining on this Chain of Lakes.